Botanical Interests, False Fruits, and Normal Ones Too | Haddonfield Farmers Market ~ Celebrating our 13th Season in 2019! I’m really only here for the food. It’s August already and the market is bursting with an abundance of delicious and healthy local produce. This week, I’m going to focus on a few of my favorites. 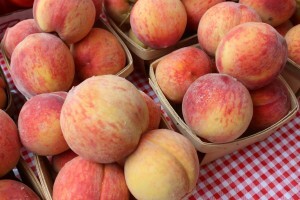 Blueberry season is winding down (you better snap some up while you still can), but peach season is in full swing and will be throughout all of August. Think cobblers, pies, fresh peach salsa with your grilled chicken or fish, sliced with ice cream, or just eaten out of hand with the juice dripping down your chin and forearm. It doesn’t get any better than this! Several of our farmers, Duffield’s and Sorbello Girls to name just two, offer luscious Jersey peaches for your enjoyment, so be sure to pick some up the next time you visit the market. I’ve also been experimenting with rhubarb a lot this season, reviving an old family recipe for rhubarb custard pie, and also, making rhubarb simple syrup for refreshing sparkling water drinks, and to add to sangria and other adult beverages. So easy and as a bonus, after I strain it, I have a yummy, rough jam to spread on toast, English muffins and to spoon over ice cream. 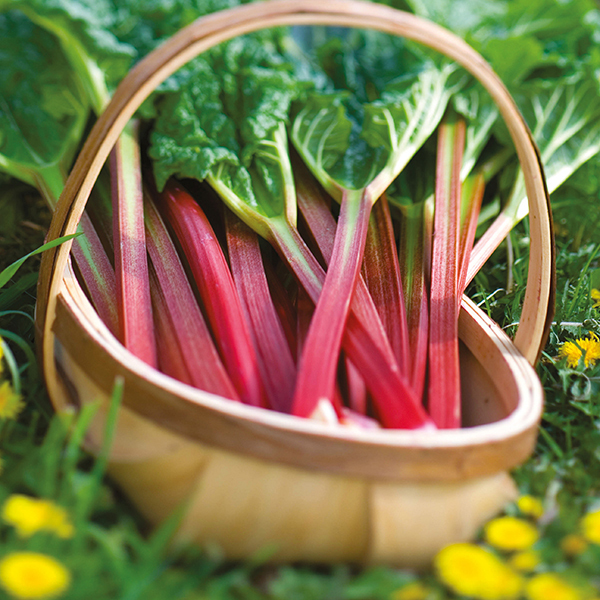 Rhubarb can be a bit difficult to find but this year, one of our vendors, Blenheim Natural Produce, has been offering it consistently. Well worth the time seeking out and that sweet/tart flavor is so delicious. Fresh figs! Sara’s producehas them. Such a treat and they often don’t make it home, as I start eating them immediately when I purchase them. Did you know that a fig is not actually a fruit, but is classified as a false fruit? Look it up! These nutritional powerhouses (23 grams of fiber each) have a fascinating way of reproducing and an equally interesting history. And it just wouldn’t be a Saturday, without a stop at Muth Flower Farmsfor my weekly bouquet from Maryellen. Her creations are unique as well as beautiful, and she usually sells out, so get there early! Next time I’ll be exploring the savory side of the market. Barbeque for breakfast? Why not?